Where Did the Pink Moon Get Its Name From? If you’ve had the chance to look at the night sky this past couple of days, you may have noticed that something’s up with the moon. It wasn’t its usual size; instead, it appeared smaller than what we’re used to. 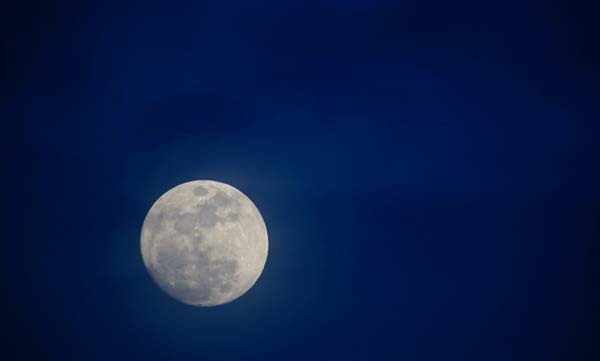 Even though people are most impressed by seeing the moon bigger than usual, it’s also interesting to know when the Earth’s natural satellite is at its smallest. This event is known as the “pink moon” but don’t worry if you didn’t see it change colors. Contrary to what the name implies, this phenomenon has nothing to do with the moon actually being pink. According to the Old Farmer’s Almanac, the name of this celestial event comes from the Algonquin tribes in the New England and Lake Superior regions who enjoyed color-naming the full moons of each month. Thus, the pink moon typically refers to the Earth’s natural satellite entering its full moon phase in April. If you’re still wondering why was pink assigned to this particular month, experts believe it’s because of a pink flower (known as the wild ground phlox). Throughout history, the pink moon was also named the Fish Moon, the Egg Moon, and the Sprouting Grass Moon. But the most noticeable feature of the pink moon is not its color but its size. Because the moon is at the furthest point from Earth during this time of year – approximately 50,000 kilometers (30,000 miles) away – it seems significantly smaller. By contrast, the satellite will be at its closest point to its host on November 14, resulting in another “supermoon” event. This celestial phenomenon will be much more in the eye of the public than the tiny moon of April. At the same time, the coming November full moon will be particularly interesting because it will get a lot closer to Earth than in any other point this century. But back to the April event, the pink moon is a relatively known celestial event that occurs each year. It is by no means a product of an online hoax (see the “green moon” phenomenon) that was born on social media. For those unfamiliar with the joke, it was a few days ago when a Facebook user posted about a green moon on April 20. He claimed the color was going to be the result of the emerald planet Uranus positioning itself only 4 degrees away from our moon.